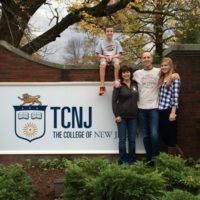 Kaelyn’s parents, Carolyn and Craig DiGiamarino, also attended TCNJ, both graduating in 1990. 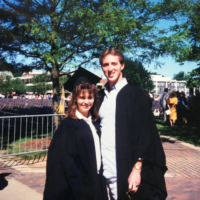 Carolyn double majored in Early Childhood Education and Psychology and Craig earned his BS in Business Administration/Finance. 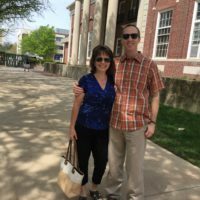 Both mentioned eating lunch at the Rat as one of their most memorable experiences at TCNJ and were equally stunned by the new, “beautiful” buildings that have since been built. 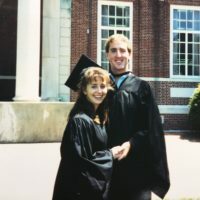 “I’m happy to be able to share this important piece of our lives—college—and to have another tie that binds us together as a family,” said Craig. 2016 semester and getting to compete at nationals in Arizona. e College) and served during World War II. 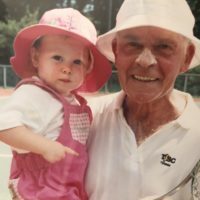 Bill was the captain and played number one singles on the TSC tennis team. Pat was an education major and taught in the Trenton School System for about 20 years.” Both Bill and Scott Stoner are inductees in the Mercer County Tennis Hall of Fame! 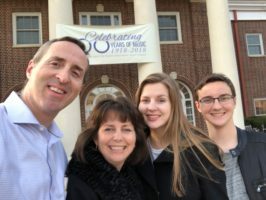 Emma’s parents, Jennifer Serra and Matthew Van Der Heide, graduated from TCNJ in 1996, Jennifer with a degree in English and Secondary Education, and Matthew with a degree in Law and Justice. Jennifer is the lead technical editor for Innovation and Standards, Enterprise Learning at Automatic Data Processing, Inc. (ADP) where she implements innovative practices to support modern learning instructional design development for corporate learners. Matthew is a management and program analyst for the US Department of Homeland Security, US Citizenship and Immigration Services. Matthew works in the Management Directorate analyzing agency policy and business requirements and acts as the liaison and project manager when implementing legal, financial services, and IT changes related to application findings. 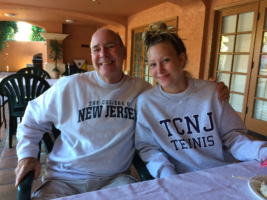 When asked about their favorite memories at TCNJ, Jennifer remarked, “taking a course with my favorite professor, Dr. Carney, every semester. 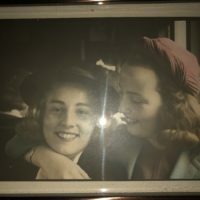 (I think of her every time I watch an episode of “The Handmaid’s Tale” on Hulu!) 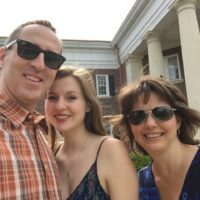 For Matthew, he fondly remembers hanging out in Cromwell, attending sporting events, and fishing on the campus lakes. 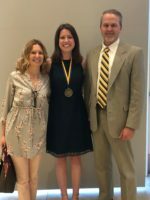 Jennifer and Matthew expressed words of praise and admiration for daughter Emma, both remarking on her willingness to embrace college life and all the opportunities TCNJ has to offer.